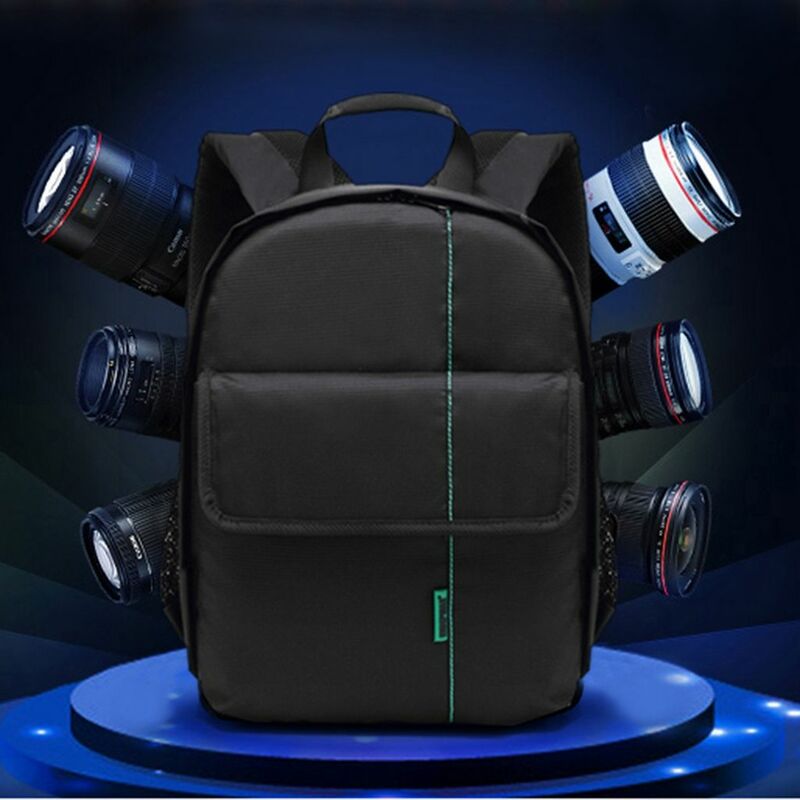 This medium sized storage, portable compact backpack is great for storing and transporting your camera, lens and other DSLR accessories. 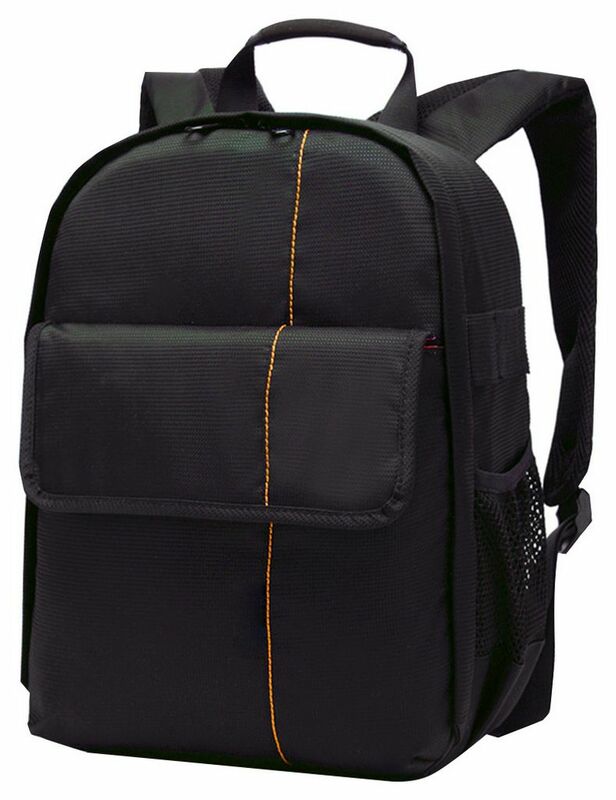 The attractive bag exterior is made with a durable scratch-proof nylon with a soft, cushioned protective interior. 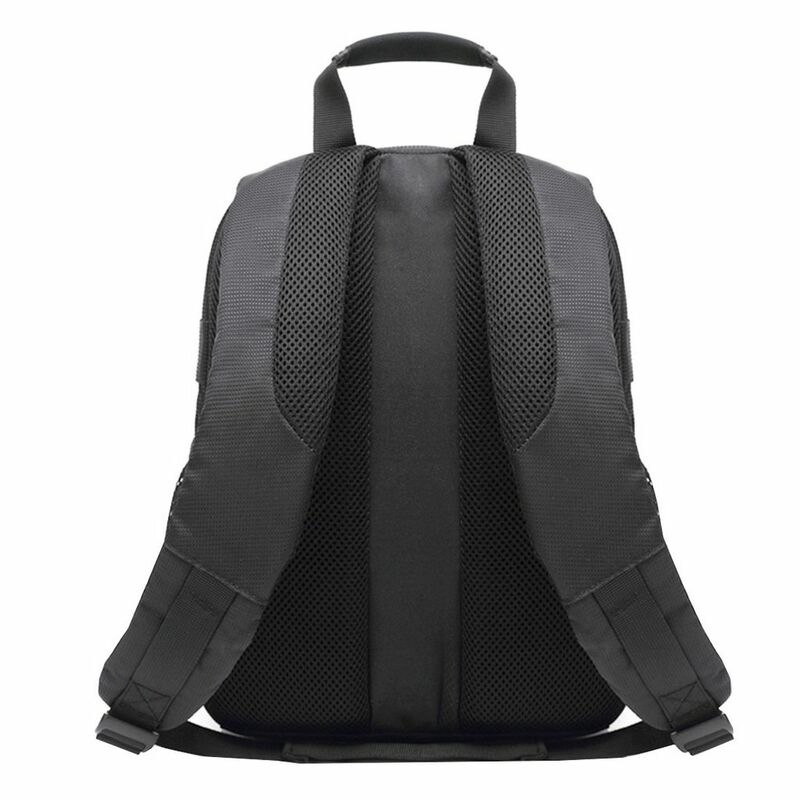 Practical, lightweight, protected and fashionable. 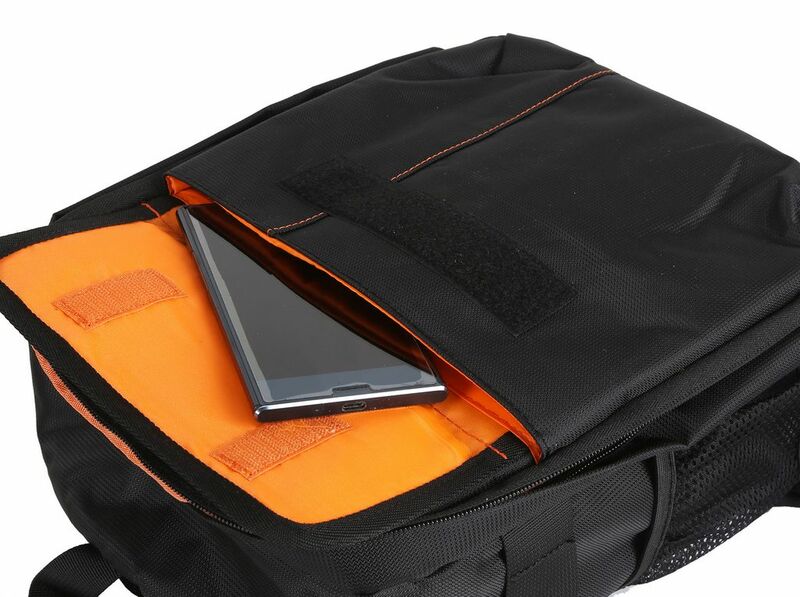 Ideal for use as a travel carrying case. 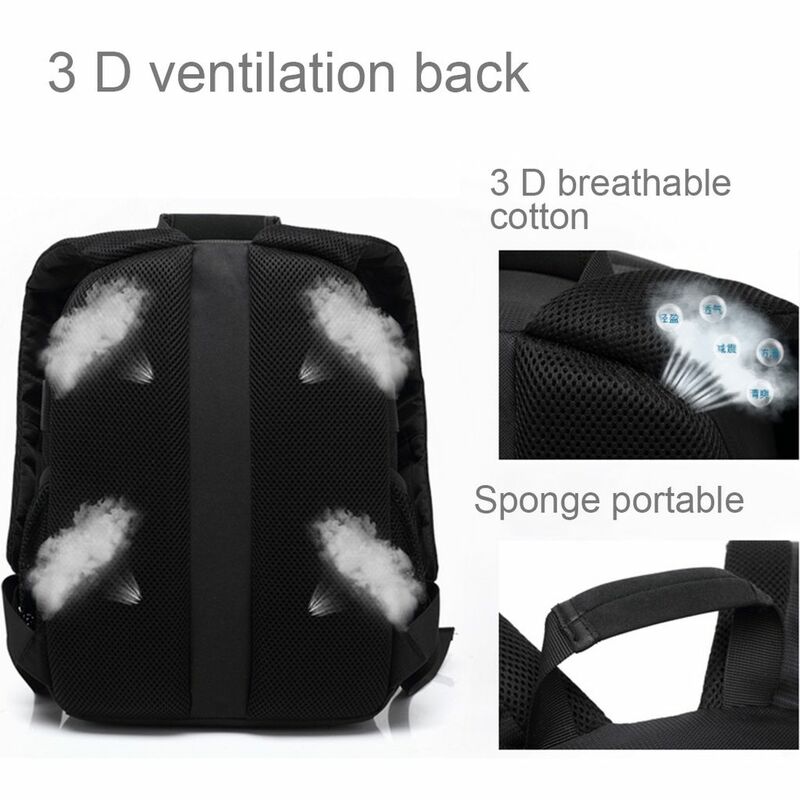 Comfortable to carry with extra padding at the back. 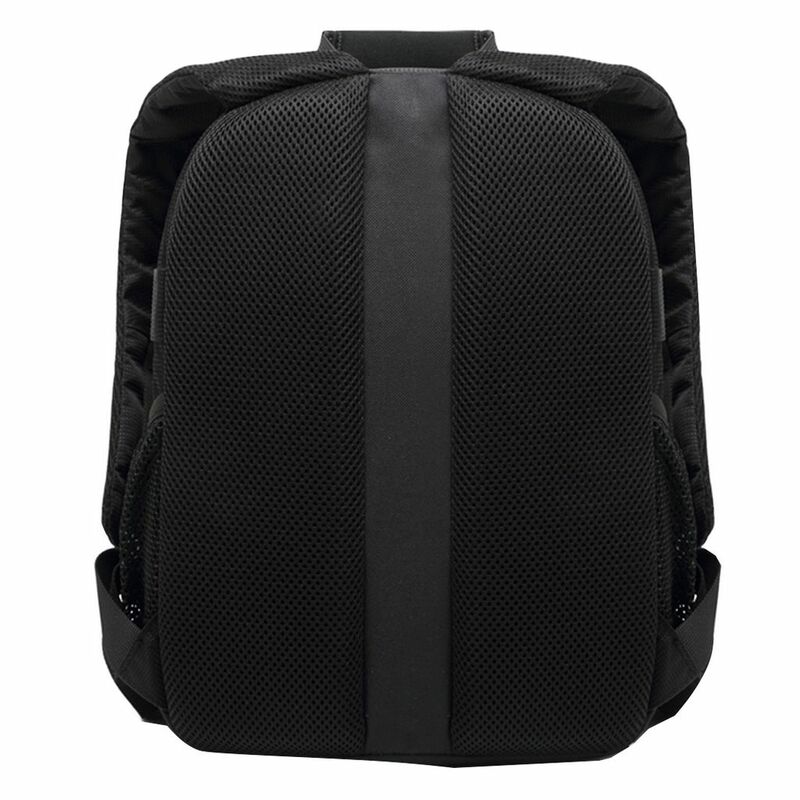 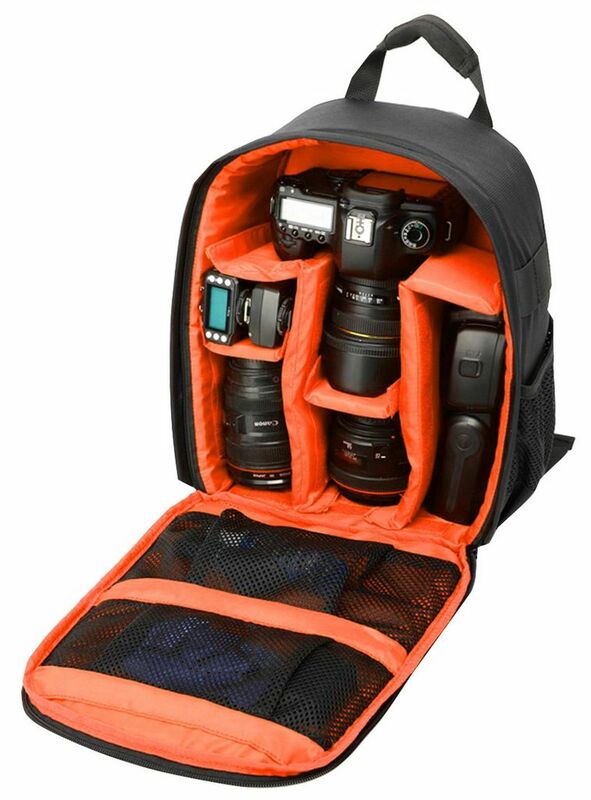 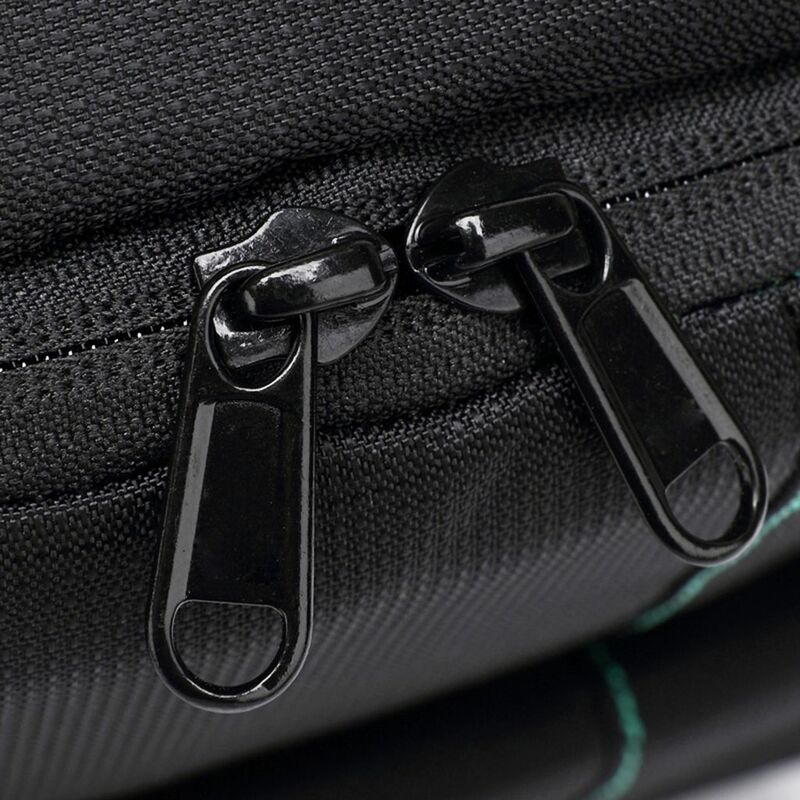 This backpack features padded and adjustable interior dividers to give you plenty of options for storing your cameras, lenses, accessories and more. 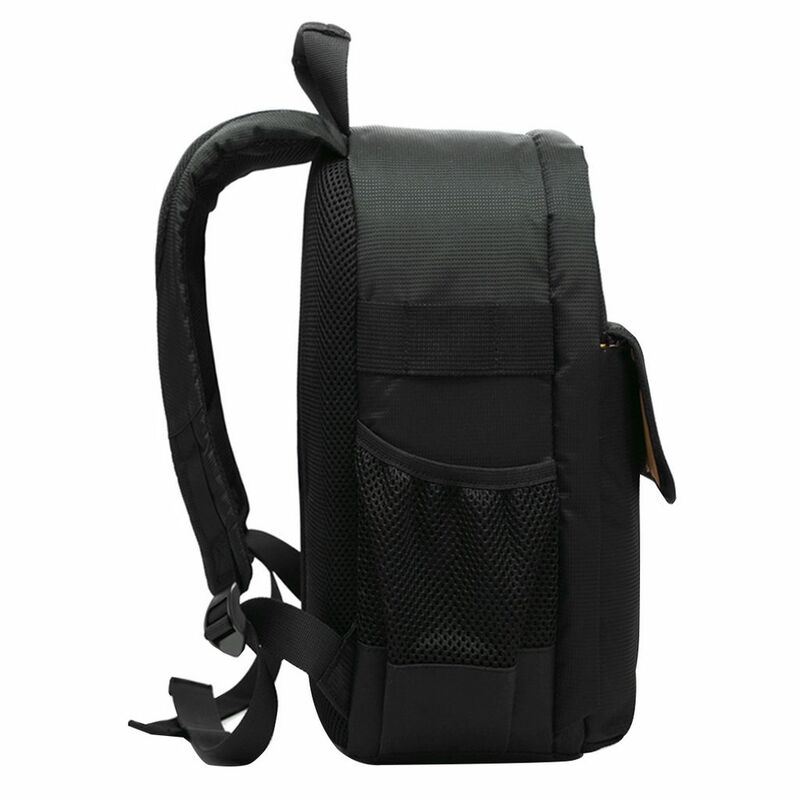 It has two side pockets and one large front pocket.